Sneezing started disturbing me from concentrating on that work, it seemed I'm getting a cough these days, so I abandoned it and went to a tavern to have some hot dishes and sake; 海老芋の揚げ出し, 下仁田ネギの塩焼き, 牡蠣味噌鍋 (+ 雑炊). 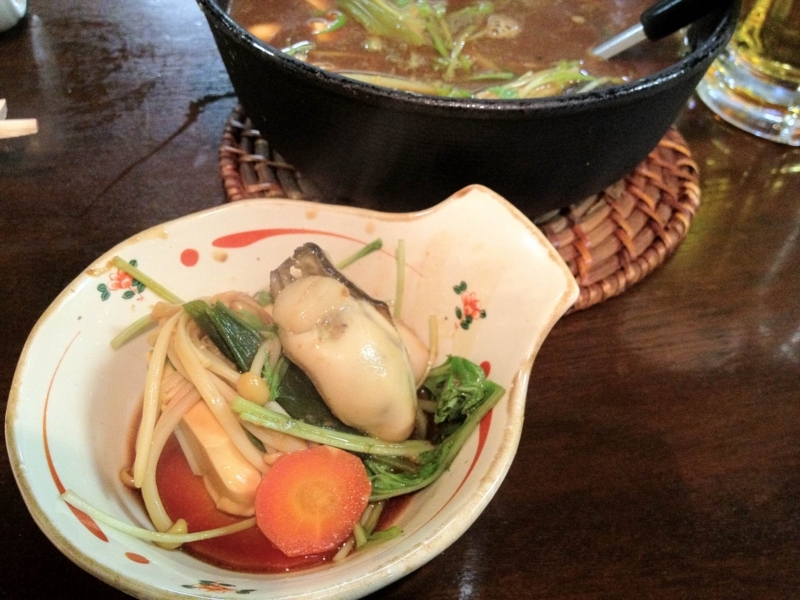 A pot of boiled oyster and vegetables with miso was especially delicious. I got fully warm for that. I read through 夜中にジャムを煮る written by Yoko Hiramatsu, one of the authors who I love the best while hanging around on my bed. Whenever I read her book, I get eager to cook something delicious or have some.